Jessica Berrios, AKA DJ Peewee, is a swiftly rising figure in the international music scene. After turning her hand to music production at age 16, she started DJing seriously during her sophomore year at Florida State, taking DJ lessons from DJ Champ from Tallahassee’s Blazin’ 102.3 radio station. Best known for her affiliation with female DJ Collective Miami Soundwave, DJ PeeWee found inspiration and purpose after volunteering at a non-profit organization called Girls Make Beats. There she cultivated her talents while acting as a mentor for young girls aged 7-18, teaching DJing, production and audio engineering. PeeWee cites the young girls as an inspiration to fully pursue her career in the music industry. The self-proclaimed “curly-haired weirdo” currently resides in the Miami area, continuing to thrive in a fertile music scene that feeds into her creative spirit. 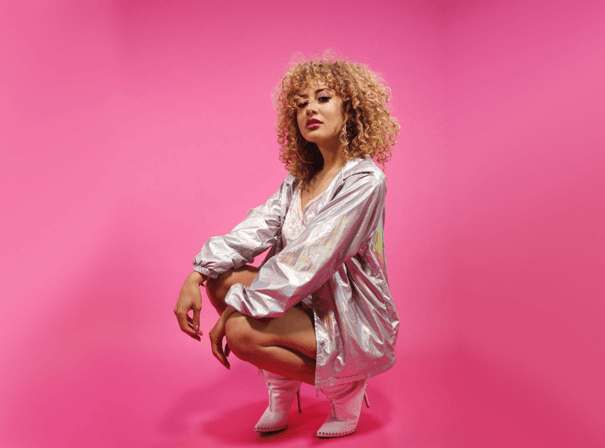 She is locked-and-loaded with brand new tracks and never fails to deliver vibes that will get any crowd going, moving between genres and styles with ease. Audiences immediately recognize her raw talent and as such, she is one of the dopest acts on the Miami underground DJ scene. DJ PeeWee has performed in venues across the Miami area including Studio 23, Racket, Shh and The Hardrock, recently playing alongside famous Miami group City Girls at SQL Miami’s Art Basel event.